A neat little piece of gaming history has been archived in full thanks to preservationist efforts. 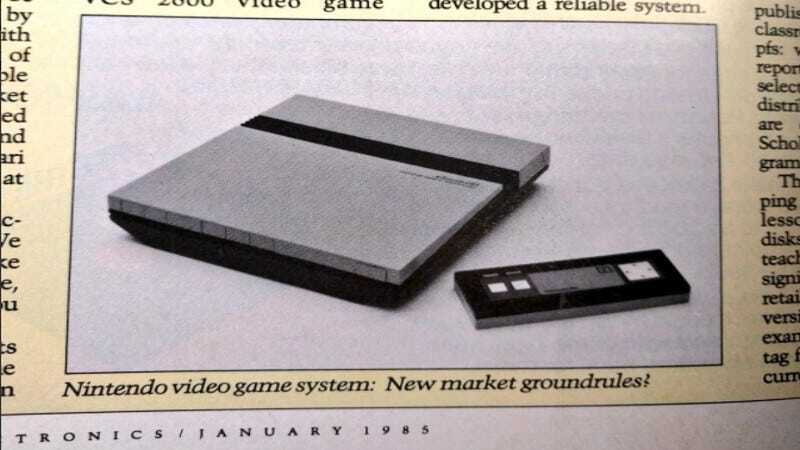 The original advertisement for the Nintendo Entertainment System has been catalogued after a five year search. Archivist Frank Cifaldi managed to get his hands on an issue of Consumer Electronics containing the advertisement after an extended search period. The publication was located on eBay and purchased for $6.99 USD. If the NES in the advertisement looks a bit different to you, that’s because it is actually the Advanced Video System. The AVS was the first prototype attempt at making a US based Famicom. Among one of the more interesting aspects of the machine is that it was supposed to use wireless controllers. It is currently on display at the Nintendo World store in New York City. The erosion and loss of older games and the ephemera surrounding them is a major issue facing the industry today. In addition to lost games and prototypes, lost magazine advertisements, interviews, and behind the scene information threatens to give us an incomplete picture of game history. Thankfully, we now have another little morsel preserved.